Color: Please Choose OneChocolateFushiaWhiteCoralLight BluePurple Personalization: Please Choose OneNoneSingle InitialMonogramName Initials or Monogram: Name: Font Type: Please Choose OneNoneDiamond (monogram)Circle Script (monogram)FishTail (monogram)Block8Block107Script10Script51EScript51A#15A Font#40 Font Thread Color: Please Choose OneNoneWhiteBlackFuchsiaLimeYellowTropical BlueLight PinkLight BlueBright GreenRedOrange Who is this item for? Very popular shower & attendant gift! Matching Large bag also available! Makes a great accessory to the waffle robes and slippers. Personalize with a monogram or single initial. 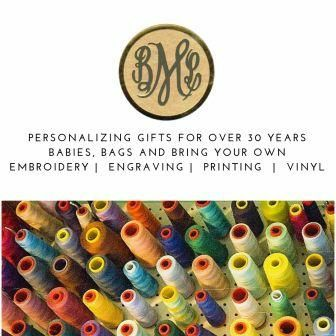 Please put your personalization in the "initials or monogram" box and be sure to complete the "who is this item for?" section. For more detailed information regarding how we embroider please see the Personalization Page. Fully lined and washable. Zipper closure, Dimensions Measure 7.5" Wide, 3.5" High and 3" Deep. Gift wrapping available in white paper with a ribbon to match the item. Please be sure to put your gift enclosure message on the checkout page.